SOLD 03/16/2005. Gorgeous parklike backyard. First time ever on market. Quiet cul-de-sac. Refinished hardwood floors / Remodeled Bathroom / Nice kitchen appliances / Knotty pine cabinets / Freshly painted intererior / Built-in safe / Central heating / 7,800 sq.ft. 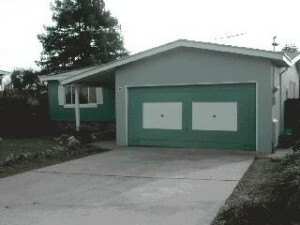 Lot / Original List Price was $559,000. There were 6 Offers.